Most people who visit this site want answers to the very simple question: What do I need to start my own painting company? We get a lot of emails asking about types of equipment, how many employees, and how much experience is required to actually get a profitable painting business up and running. Our answers to these questions are always the same: None. You need none of those things to get started in this industry. It really is that simple. 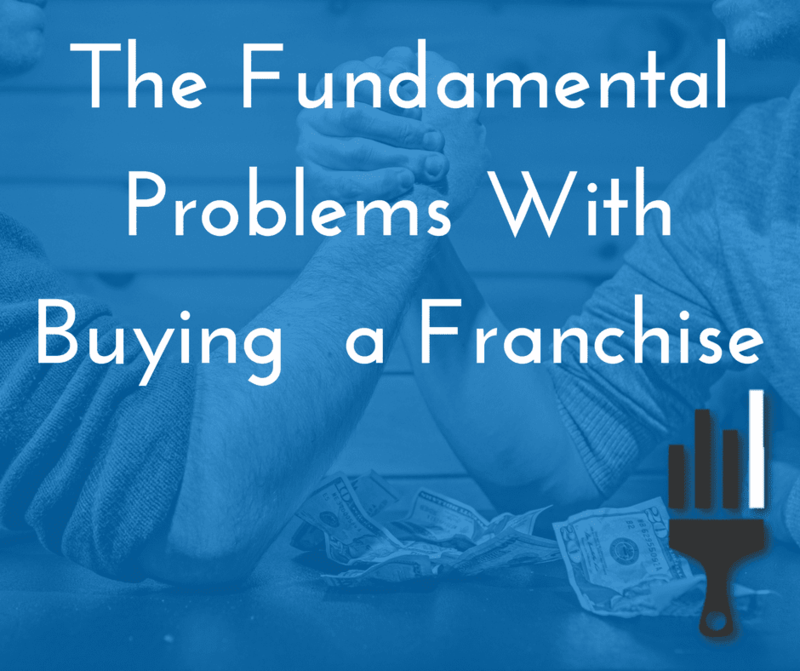 In this article we’re going to go over the real requirements of busting into this VERY profitable industry, and help dispel some myths for anyone considering it as a serious business. Regardless of where you are, odds are you’ll need a business license in order to legally operate as a business owner. For those operating in the U.S. getting a business license can be as easy as going down to your local county clerk. In some counties and states, county clerks are combined with the department of motor vehicles. So it can take a moderate chunk of time. If you live in a crowded area, plan for a couple of hours spent waiting in line. Once you’re through the line, however, getting a business license is typically a quick process of filing some paperwork and paying a fee. Fee schedules vary based on the type of business you’re establishing (sole proprietor, LLC, corporation, etc.). Make sure you do your research ahead of time to ensure you have all the requisite documentation before you go to file your paperwork. Depending on local laws in your area, you probably need to set up an insurance policy. There are a few different types of insurance that we suggest you have, in order to prevent any legal backlash that result from you doing business. Insurance polices protect you, your business, and your clients in the event of unfortunate mishaps. Covers employees in the event of injury while on the job. Typically this is a legal requirement in all states. If you have a company vehicle, this will be required for anyone who may drive. This license is highly dependent on your area and local ordinances. Many smaller areas do not require solicitor licenses, but in the event that they do, we encourage you to get one prior to doing any door-to-door marketing. Aside from licensing & insurance we highly recommend being prepared with a plan on how to acquire customers and accommodate customers. Luckily for you, we have those resources available for free. By following each of those links, you’ll receive some of the most important materials for booking paint jobs, fast. They’re designed for professionalism & come complete with usable templates that save you time, and will prepare you for your first customer encounter. You’ll be even more prepared if you follow the link below, where you’ll be taken to another article in which you’ll learn how paint job pricing breaks down. You’ll also be directed to watch a video on how you should use our estimating forms and standards. Go through each of those with a fine-toothed comb, and you’ll be ready to book a job. Editor’s Note: We recommend practice estimating on your house, or a friend’s before you go looking for paint jobs. Being comfortable with the forms & pricing will play a major role in landing your first gig. This is one of the biggest topics of contention we encounter with people who want to open their own painting business. Most people think they’ll need to spend thousands on equipment and materials. Well, we’re here to tell you… You won’t need any of that. Before you go looking for customers, save yourself a lot of heartache by finding a trustworthy subcontractor who can do the jobs that you sell. This is as easy as going to craigslist, creating a post, and doing some interviews. Request that those applying bring photo examples of their work. Look for someone that has been around a while, and is confident in their paint crew to get jobs done efficiently. You’ll need to file 1099 tax forms for your contractor, and you’ll need to ensure that he’s properly licensed and insured (do not hire subcontractors that don’t meet these criteria). If you’ve watched our videos, you know that we recommend subcontractors as you’ll be able to maintain your profit margins, as well as scale production quickly. Quick Tip: Make sure you draft some form of work agreement with your subcontractors. You can find free contract examples online that will help protect you. Knowing how much to pay subs is a common topic for discussion in our YouTube videos. Make sure you take the time to check those out. Suppose you encounter a relatively small paint job. For instance, let’s say a customer just needs one room painted, and you don’t want to give that work to a subcontractor for various reasons. Painting isn’t rocket science. It’s really easy to find instructional walkthroughs on what equipment to buy and how to successfully paint a room… even if you have no experience. Preferably, we recommend you don’t do any paint jobs yourself, but if you must, it’s not difficult. Do the research, buy the small amount of materials you need, and collect your revenue. Word of caution: Large paint jobs (especially on exteriors) can be very complicated if you’ve never done them before. If you have ZERO experience painting exteriors, we highly discourage you trying on a customer’s house. Sub these out. 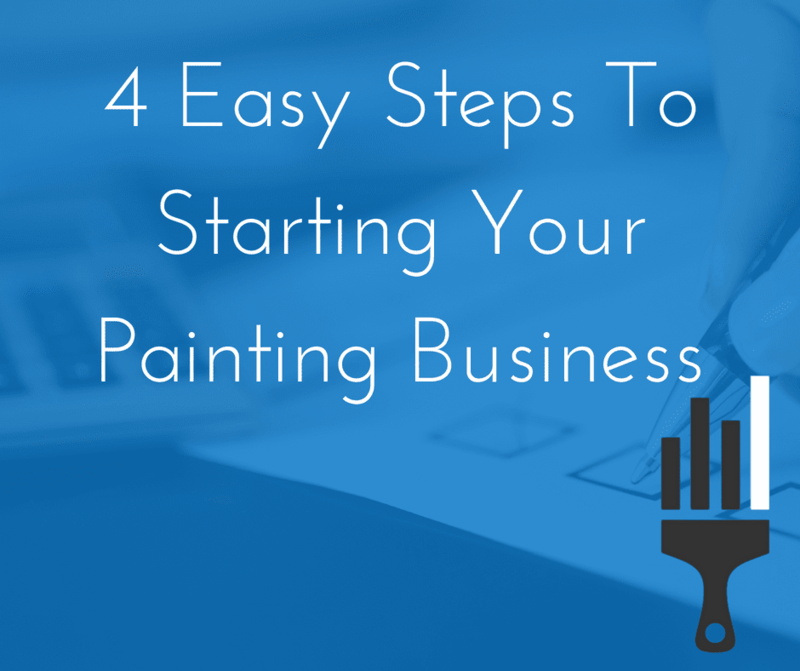 Realistically, the above sections cover the basics of opening a painting business. The good news is, that’s really all there is to it. What comes next is improving how effectively you book jobs, and how you handle the logistics of getting them finished. All of the principles involved with each of those is covered in extreme detail in our course (which you can access by following this link). We show you how to progress through numerous phases of developing your business, and how to overcome obstacles at each step. We go over hiring & training departmental managers, implementing our perfect sales script, and show you all of the systems we use to keep our business in the 7-figure revenue range, year-after-year. You’ll learn the breakdown for how your company spending should be allocated. It’s a fool proof system for a very profitable business. We want to see you start your business and grow alongside the (nearly) 1,000 course registrants who are having great success as painting business owners. So if you have any questions on how to your business going, make sure to drop us an email. A few years back I purchased your course. Due to unforeseen circumstances I wasn’t able to get involved. I am now in the Atlanta market and am starting my company and can’t find the videos I purchased. Please help me with what I can do to recover them.